We are a Texas based company offering fire protection services for all types of construction. However, we specialize in Multi-Family apartment life safety systems – Fire Sprinkler Systems, Fire Alarm Systems, Fire Stopping, Consulting. A true “One Stop Shop”. The company was formed in June 2011. Our corporate office is centrally located in the DFW Metroplex. We offer design / build consultation, sales, installation, and 24 hour service. Please contact us on your next project for all your fire protection planning needs. 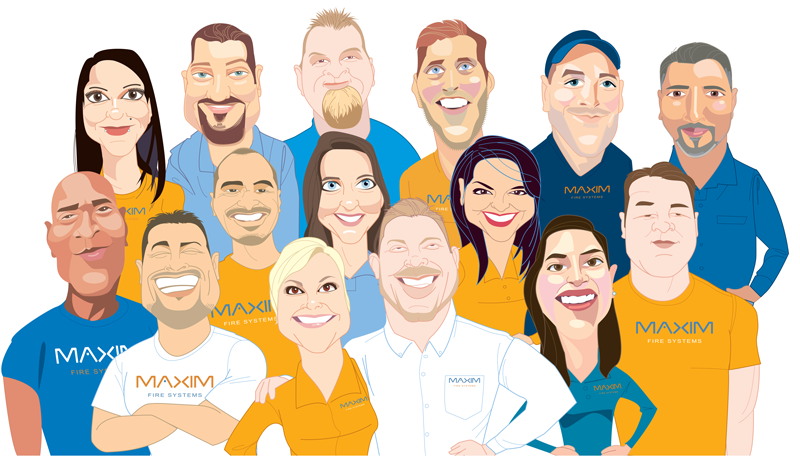 With that being said, Maxim Fire Systems is dedicated to being the most honest and ethical fire protection company in the industry. Our clients demand quality and responsiveness and that is exactly what they will get. We will strive to look in the mirror every morning and be proud of the person looking back. This relentless attention to our basic core values will naturally foster a work environment for dynamic and energized employees who can be proud and enthusiastic about their work place. Life-Safety Note – Did you know? The purpose of a fire protection system is to protect life and property. Serious fires seldom occur in properties protected with properly maintained fire protection systems, fire sprinklers and fire alarms. The responsibility for properly maintaining the fire protection system belongs to the Owner and/or Occupant. To properly maintain the system, it shall be tested according to the National Fire Protection Association applicable codes. Attention must be given not only to the system itself, but also to other features that may affect the proper and satisfactory control of fire by the sprinklers.